Think of your favorite company. Now think of your favorite company and their customer service. Chances are that part of what attracts you to your favorite company or brand is their open communication with you, the customer. Whether this communication comes in the form of emails, blog posts, or customer service calls, pleasant encounters with a brand is sure to build customer trust and loyalty. 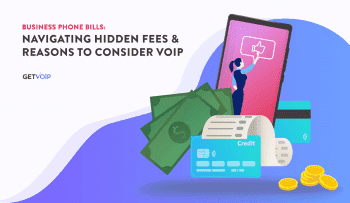 Yet even if you trust a company, and even if they provide great service once you are able to reach them, the thought of making a customer service call often brings about feelings of dread. 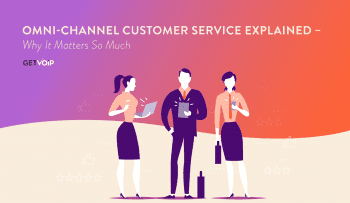 All too often, customer service calls are associated with confusing automated menus and long wait times. Airlines have an especially bad reputation for this. 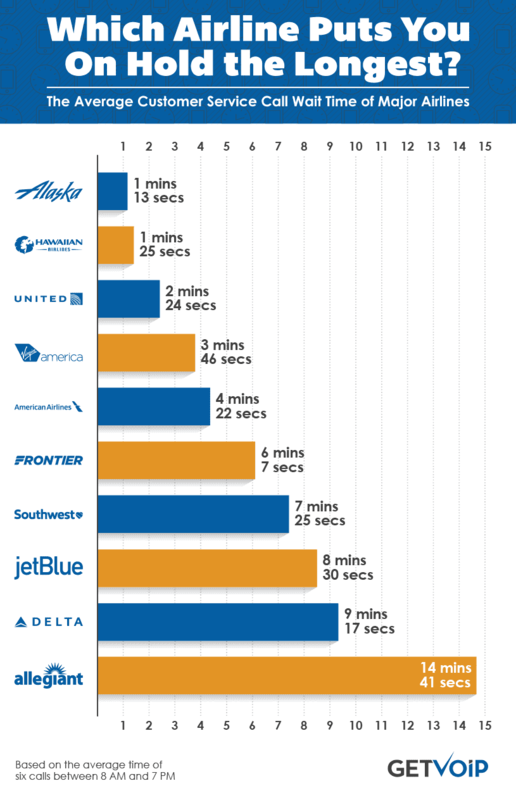 As we look towards summer and start planning our vacations, we wanted to know how bad customer service wait times actually are at major airlines. To find out, we assembled a list of 10 of the most popular airlines. Then we called and emailed them to see how long it would take for them to respond. Each company was called six times. Twice in the morning, twice in the afternoon, and twice in the evening. Morning calls took place between 8:30 AM and 11 AM EST. Afternoon calls between 12:30 PM and 2 PM, and evening calls between 5 PM and 7 PM. For each call, we chose to “plan a trip,” and gave the same departing and arrival cities and dates of travel. Of all the airlines called, Allegiant had the highest average wait time of 14:41. They also had the longest overall wait time on a single call — 27:31. Alaska had the lowest wait time of 1:31. Though Delta had the second longest wait time, it also gave you the option to leave our number for them to call when we were first in the queue. Virgin also had this feature. In addition to calling each airline, we emailed each airline to see who responded the fastest. Though we only emailed once, rather than six times, it was interesting to see who responded fastest. Half of the airlines — American, Frontier, Delta, Virgin, and Allegient — responded within 24 hours. Hawaiian took nearly 48, and Southwest took nearly 72. After 96 hours, we still had not received responses from United, Jetblue, and Alaska. With emails, the wait times were relatively painless. We sent the email, continued our day, and, for the most part, received responses in a timely manner. Wait times on the phone, however, were a lot more frustrating. 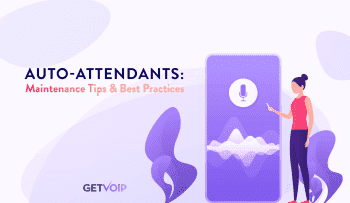 Though phone calls allow you to have in-depth conversations and ask follow-up questions, waiting for an indefinite amount of time (up to nearly half an hour) proved difficult. 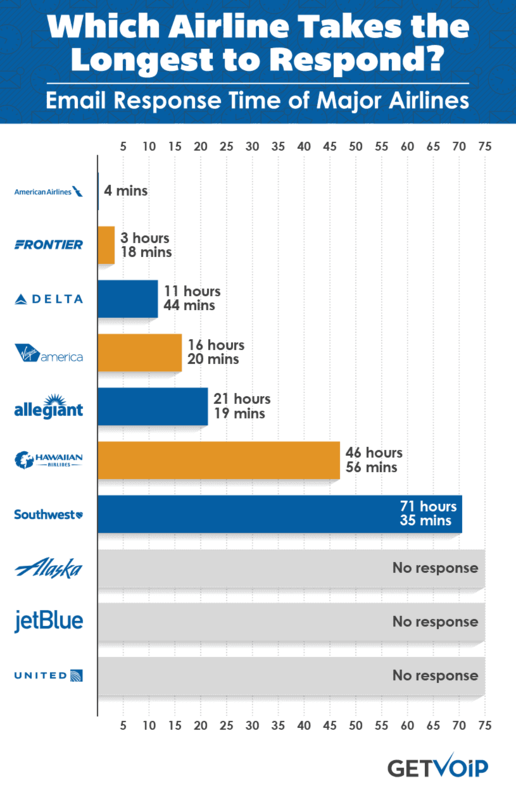 Though the the customer service wait time isn’t necessarily correlated to the quality of service, it is interesting to note the large gap in wait times — from 1.13 to 14.41 — and think about what call features could enhance these airlines’ customer service experience. 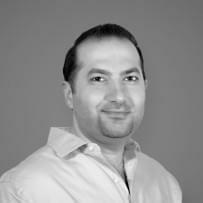 Simple features like a call-back option or estimated wait time, for example, could change the experience completely.